European Union technical assistance is implemented at micro-, meso- and macroeconomic level to encourage growth and benefit different sectors of the population, including the poorest. Programmes aim to incorporate developing countries in the international trade loop by involving numerous economic stakeholders and taking social considerations into account. 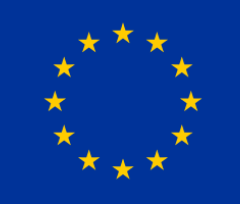 An in-depth look at one of the development drivers implemented by the European Union. The technical assistance funded by the European Union (EU) to strengthen the private sector in developing countries takes place in the inter-related fields of Trade and Private Sector Development (TPSD). These are ‘two sides of the same coin’ and may also form part of the support framework for regional integration. TPSD programmes consist mainly of technical assistance in specific areas, such as enhancing the business-enabling environment, and improving business development services and access to finance. Such technical assistance is delivered at different levels of intervention (macro, meso, micro), with national or regional dimensions. The European Union seeks to deliver sustainable technical assistance by promoting the development of local expertise and institutions. It also explores technical assistance for innovative models of inclusive business1 and stronger synergies with development financial institutions. Effective, long-term poverty reduction requires economic growth models that allow people to generate wealth and benefit from it in their own country. Both the quantity and the pattern (or ‘quality’) of economic growth determine whether the poor can benefit sustainably from this process. Promoting pro-poor, inclusive growth is a key objective of EU interventions in TPSD. The European Union recognises the correlation between trade openness, private sector performance, economic growth and poverty reduction. Reducing a country’s trade barriers can benefit enterprises and consumers, while trade and investment links with other countries introduce new technologies and more efficient production processes. However, changes in trade can impact local communities differently, depending on changes in prices of goods and services, enterprise profits and wages, taxes and other transfers. Trade-based growth should, therefore, be inclusive and pro-poor, at both national and regional levels. Corroborated by the global Aid for Trade (AfT) initiative, launched in 2005 by the international donor community2 and by the EU AfT strategy, the connection between trade-related assistance and private sector development is the point of departure for designing the TPSD technical assistance programmes of the European Union. This corresponds to the ‘wider’ AfT agenda as an overall approach to integrating developing countries into the international trade system. The EU addresses TPSD issues in developing countries mainly by providing long-term technical assistance aimed at building the capacities of key economic and institutional players at national and regional levels. Tools such as twinning and financial instruments (e.g. investment facilities), among others, are used. Figure 1 illustrates how the different forms of trade-related and supply-side support converge to strengthen the local private sector’s role in achieving inclusive economic growth and reducing poverty. Local enterprises are at the centre of TPSD interventions: they are designed to enhance firms’ capacities (micro level) and their access to adequate services (meso level) and to the wider environment in which they operate (macro level). This holistic approach delivers needs-based assistance at appropriate levels and encourages systemic change rather than benefiting only individual firms. Given the complexity of TPSD, it is important to strategically focus the relevant technical assistance. The framework in Table 1 identifies the possible level(s) and types of intervention, based on local context and stakeholders’ needs and priorities. Macro-, meso- and micro-level interventions can take place in parallel, as an integrated strategy. Alternatively, emphasis may be placed on just one or two levels. Although an enabling environment is a prerequisite for sustainable growth, focusing technical assistance only at the macro level is insufficient to stimulate economic development. Most EU assistance is designed to develop the capacity of partner countries’ economic and institutional actors at the macro- and meso-level. This contributes towards the enhancement of competitiveness as a function of productivity, diversification and quality levels. While support of firms may be useful, direct technical assistance to key enterprises (or groups thereof) should be limited to where the market mechanism is ineffective: for example, to unlock the potential of a cluster, address a value chain bottleneck, or stimulate processes with positive spill-over and/or multiplier effects.3 While assistance delivered through a TPSD programme directly to individual enterprises might be needed in the short term, it could also involve local organisations ‘learning on the job’, with the aim to develop a local and sustainable business development services (BDS) market. Apart from factors affecting access to markets, developing countries tend to face internal supply-side constraints that inhibit economic growth due to the limited competitiveness of their economies. Different approaches to enhancing competitiveness can be adopted: for example, sector-based approaches, value chain development, cluster development and industrial upgrading, can all contribute to strengthening the productivity of local firms. These methods can be adopted in various combinations. Addressing cross-cutting issues is also within the ambit of EU-funded TPSD technical assistance programmes: it includes the promotion of gender equality and decent work, the fight against HIV/AIDS, the protection of human rights and environmental concerns. For example, assistance is provided to national authorities and intermediary organisations to enhance their capacities to help the private sector employ environmentally-conscious methods of production. The recipients of technical assistance for TPSD include policy-making institutions, government ministries and regulatory authorities, as well as chambers of commerce, business associations and BDS providers. Such industry bodies connect public sector and business, as they undertake advocacy and lobbying activities, and provide advice and information to small and medium-scale enterprises (SMEs). Trade unions, civil society organisations, universities and research institutions can also benefit from technical assistance, for example by improving their capacity to assess industry needs and to interact with the enterprise sector. The financial sector also plays a key role: finance and investment are vital for productivity increases and for innovation.4 Regulatory bodies, credit bureaus, banking training institutes and individual financial institutions can benefit from technical assistance to better understand the needs of specific industry segments, and to enhance their contributions to a financial sector conducive to TPSD. The EU support to TPSD is mostly delivered through national programmes, and less frequently via more articulated regional programmes. The European Commission seeks to develop synergies between national and regional programmes providing technical assistance in the areas of trade facilitation, quality infrastructure and harmonisation of the business environment. These areas are key to regional integration between countries with markets of a very small size and limited capacities. EU-funded technical assistance is delivered through a variety of implementing bodies, depending on needs, opportunities and comparative advantage, such as experience in a specific area, long-term presence in a partner country, and support of complementary activities. While the European Union supports TPSD in various manners, it also explores ways of enhancing the private sector’s engagement as a driver of development. This may include testing and developing ‘inclusive business models’ in order to promote pro-poor PSD and sustainable growth. for example through financial or technical support to local or international companies to assess project feasibility, develop appropriate partnerships or broker investments. It may also entail broadening access to finance for local SMEs, for example by building the technical, managerial and financial capacity of the local financial sector to increase its outreach to larger segments of local business (including agri-business) and by utilising grant resources to reduce risk (in both equity and debt financing) through blending mechanisms. Finally, EU support seeks opportunities to leverage the private sector’s role and investment in the delivery of public goods, for example, by exploring support for forms of PPPs in areas like energy, infrastructure, water, health, education and vocational training, or by supporting the blending of loans and equity with grants for essential infrastructure investment projects. Making use of such additional opportunities would complement and strengthen the types of TPSD technical assistance addressed in this article, which remain a key to building the productive and trading capacities of developing countries. In this regard, there will be great interest for the outcomes of the two global evaluations initiated at the beginning of 2011 by the European Commission on its trade-related assistance and private sector development interventions. ¹ An inclusive business is a sustainable business that benefits low-income communities, by involving the poor not just as consumers, but also as producers and distributors in value chains with pro-poor growth potential. ² The 2005 World Trade Organisation (WTO) Ministerial Meeting in Hong Kong put the spotlight on the Aid for Trade (AfT) initiative, a complementary though separate initiative to the international trade negotiations’ Doha Development Agenda. ³ This might entail working directly with a ‘lead firm’ in a significant segment of a local value chain: The enhanced performance resulting from technical assistance brings about benefits in terms of income and employment generated, both to the firm and other local actors through its backward and forward linkages. 4 Financial partners may also provide advice on business strategies and plans. 5 This document will be available as from mid-2011. References / European Commission, 2008. Reforming Technical Cooperation and Project Implementation Units for External Aid provided by the European Commission, A Backbone Strategy, report, July. // European Commission, 2009. Making Technical Cooperation More Effective, report, March. // European Commission, 2010. Reference Document on Trade and Private Sector Policy and Development.